Architects, Artists, Athletes, Business Executives, Civic Leaders, Educators, Entrepreneurs, Environmentalists, Government Officials, Historic Preservations, Judges, Journalists, Philanthropists, Physicians, Poets, Researchers, Social Activists, Writers. 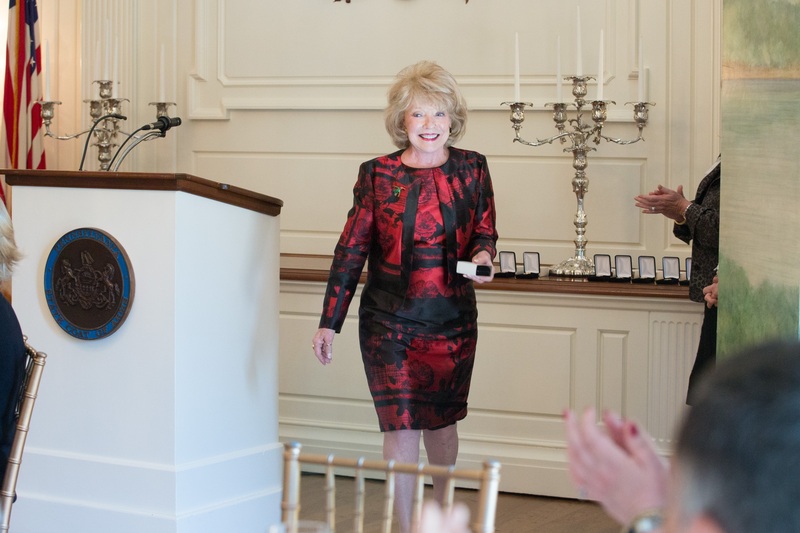 Each year, the Governor and First Lady host an Awards Luncheon at the Governor's Residence in Harrisburg where new Distinguished Daughters receive their awards. To submit a nomination, complete the online form In preparation for completing the form, you may wish to download the Sample Form and use the character limit in the Summary of Qualifications section as a guide for completing the text fields in the form. Nominations for the 2019 class of Distinguished Daughters of Pennsylvania will be accepted between January 15-March 15, 2019. Check this site in January to download the nomination form. The mission of Distinguished Daughters of Pennsylvania is to recommend to the Governor outstanding women to be honored for their extraordinary service and contributions to the Commonwealth. To ensure a successful submission, you may choose to download this sample form, and use the character limits as a guide for each section.